While check issues it could be usefull to make the link between the Ax user and the related SQL session. In the post below it is explained properly how you should do this. In previous versions of Dynamics AX, the “Online Users” form contained a column for SPID for each client sessions. This column was a useful tool in debugging blocked SPID. More specifically, it was used to find a user session that corresponded to a specific SPID as indicated in this blog post. 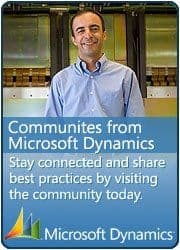 In Microsoft Dynamics AX 2012 the SPID column is no longer available on the “Online Users” form. This post will describe how to find the user session corresponding to a particular SPID. Here’s the sample output. Let’s take a closer look at the ci column. 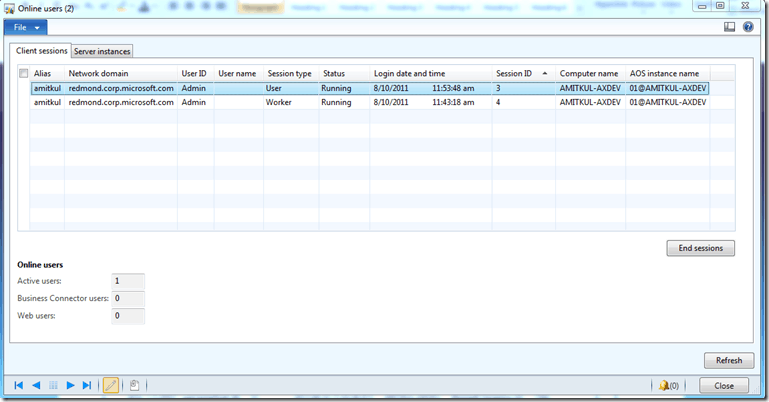 The first two items in the connection information are AX user id and the AX session id. So for SQL session_id 60 the user is ‘Admin’ and AX session id is 3. Next we can open the “Online Users” form to find the user session associated with the SPID.